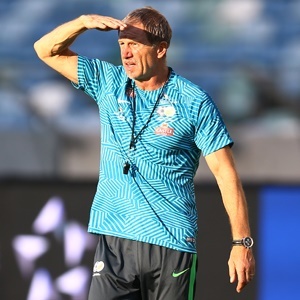 And having coveted a return to the plum Bafana Bafana job over the years, Stuart Baxter might have thought this after the unexpected back-to-back defeats to Cape Verde. The away and home defeats have all but put paid to Bafana Bafana’s hopes of making it to next year’s World Cup in Russia. Before these two matches, spirits were high as the team just needed to bag the six points on offer and the job would be almost half done. Not that anyone expected that wresting those full spoils would be like grabbing candy from a kindergarten kid, but it was possible. As if the soccer gods were conspiring against South Africa, world football governing body Fifa delivered a further blow when it ruled Bafana’s surprise 2-1 victory over Senegal null and void. This following the shenanigans of the referee who handled the match, with the suits in Zurich saying they have proof that he “manipulated” that particular game. And if you are new to the game, “manipulation” is the latest term for traditional match-fixing. As if to pour some H2SO4 – sulphuric acid – on a still festering wound, reports emerged that some Bafana Bafana players partied up a storm in a hotel room after the second loss to Cape Verde. Now, we all know that South Africans love a jol. Why? We even have something uniquely South African called an “after tears”, which is a party that usually follows a funeral in the townships. At the end of last season, there were reports of “professional” players who went on a jol after their club lost an important cup final in which a win would have provided them with some saving grace. The latest episode calls for Baxter to prove his mettle and show the players who is boss. He needs to take some decisive action that will prove to the players that he is a no-nonsense manager who will not tolerate any bad behaviour from players. For far too long, some South African players have gotten away with murder by not treating club and country jerseys with the respect they deserve. We have seen our players display a nonchalant body language at the end of matches they lost. It is a gesture similar to just shrugging your shoulders and saying “life goes on”. Need we remind our players what the greatest Liverpool manager so far, Bill Shankly, said about this game of the pigskin. To paraphrase his overly quoted and sometimes misquoted saying, he opined that football was much, much more than a matter of life and death. Baxter this week said he was going to deal with wayward behaviour among players. He must put his money where his mouth is by laying down the law and dealing with anyone who strays from the straight line. South African football followers have endured enough abuse during their relationship with Bafana Bafana, and it is high time that this is brought to a halt. Players must either shape up or ship out as there are many youngsters out there dying to show the country what they can do. If Baxter does not stamp his authority on the team soon, he might just find himself joining the long queue of his many predecessors. He must not allow players’ bad behaviour to be his downfall.